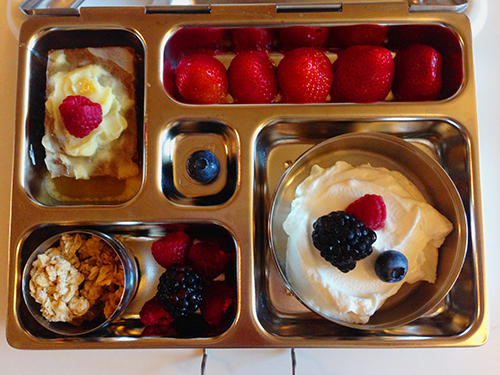 Greek yogurt with berries, Paleo Breakfast Bread with butter and honey, granola. How did you like the Paleo breakfast bread? We don’t usually like Elana’s recipes…the texture anyway. This looks good. That Paleo Breakfast Bread is gooooood. It is nearly like eating a brownie.